Everyone has an opinion over the past couple of days regarding what should or would or could happen with Georgia's head coaching position. I might as well fathom a guess myself. Here goes: Since Kirby Smart is the name being brought to the forefront the most, I'll agree that the Alabama defensive coordinator will be the Dawgs successor to Mark Richt. As his defensive coordinator I'll go contrary to many and say Jeremy Pruitt stays at Georgia. In order for this to happen, AD Greg McGarity has to stay out of Smart's way and allow him the control he needs to formulate his staff. I've heard that McGarity has been informed to do just that. On the offensive side of the ball, Smart will bring in Western Kentucky's Tyson Helton. He'll bring in an offensive scheme that will keep Jason Eason honoring his UGA commitment. 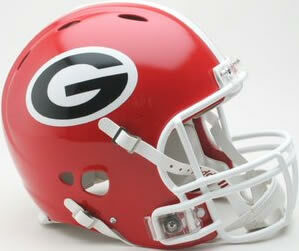 With Smart, Pruitt, and Helton the Bulldogs recruiting class stays intact and probably even gets stronger. I have no idea how the wheels are spinning in the athletic offices at Georgia, nor do many other people for that matter. We're all just guessing and wondering. I just gave you my rendition. What's yours? The good thing is we will know the truth after the SEC Championship this weekend.